On entering a game reserve I am often overwhelmed with a feeling of great expectation and Ithala, tucked away off the well beaten track in North Central KwaZulu-Natal, is no exception. If anything the feeling is enhanced and mixed with mystery and anticipation as rolling hills give way to valleys, cliff faces and tall rocky outcrops, all set to a backdrop of quiet and stillness. 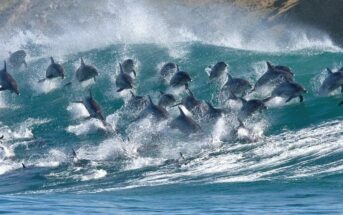 All those feelings are a mere distraction as the natural beauty unfolds and the sightings begin within minutes of leaving the entrance gate. Rhino grazing just off the road, black eagles soaring high overhead and the always reliable impala taking shade under acacia trees. I have yet to go to a reserve and not see something new and checking in at the office I had another early surprise. Rock Dassies, which I had not come across before and although fairly common and not that rare were great to get a close look at as they lazed in branches overhanging the office entrance. A familiar smiling face greeted us at reception, Chris Luthuli who I had spent a wilderness weekend with at iMfolozi. His opinion of Ithala is ‘paradise’ and he may be right. As with all clients he advised us on drives, game viewing and weather. We also took the opportunity to book an early morning game walk with one of the camps experienced guides. 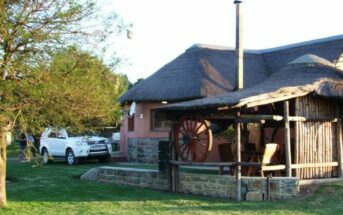 Our home for the weekend was Mbizo Bush Camp and ideal for the three generations of family staying over. Mbizo Bush Camp, Ithala Game ReserveBasic rustic wooden lodges including equipped kitchen and all utensils along with rustic toilet and showers. A gated entrance well off the main track and the meeting of the Ngubhu and Mbizo rivers to the rear ensure privacy. 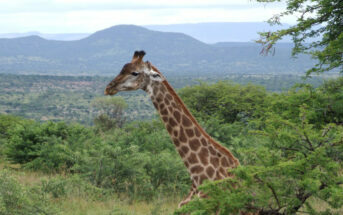 Private from people and vehicles, not giraffes, zebra and kudu which were often to be seen on the camp perimeter. The river provides an extra bonus, as the rock pools are a great place to cool off at the end of a hot day. Ithala may have not have lion to complete the ‘Big Five’, however amongst the eighty plus Mammal species there are plentiful plains game along with elephant, black and white rhino, hyena and leopard. Leopard tracks had been spotted over our weekend but alas no firm sighting. On our self driven drives we encountered many animals and Ella, my 2 year old niece, can now say monkey, baboon and giraffe fluently. For bird watchers it is paradise and I will never forget my first look at a young martial eagle perched in a low flat acacia tree, and within it’s talons it held what looked like the remains of a small monkey. The reserve has over three hundred recorded species and we enjoyed many sightings including secretary birds hunting, a group of trumpeter hornbills calling from a tree and a green spotted dove calling to us as it flew from one side of the car to the other. My brother in law mimicked the call and ‘translated’ it as “my mothers dead, my fathers dead, everybody’s dead”. To walk in the bush is a special experience that gives a greater insight into all areas plant, animal and bird life. Our guide Simon was excellent and told us of the people who had once lived here as we walked through derelict round huts that now seemed occupied by warthogs. We approached white rhino that were sparring with each other and eland that cautiously grazed, always keeping a safe distance. Wildebeest and zebra ran and snorted warning all that would listen of our presence. Steppe Buzzards and the impressive wahlbergs eagle glided from tree to tree looking for a meal. This was my second visit to Ithala, and yes Chris you may be right, you probably are in paradise. Perhaps another visit will convince me!